Place the flour in a deep pot, and add the broken yeast into the middle: add a little tepid water, and stir with a fork, continue adding the remaining water, the oil and finally the salt, working it until you have a smooth dough. Now leave the mix to rise for 10 minutes, before turning it upside down on a semola-floured surface, and closing it by making a fold from each side. Re-place the dough into the pot (slightly oiled) with the closed face facing down. Cover with clingfilm and leave on the lowest shelf of your fridge for at least 12/18 hours. Once cooled, remove from the fridge and leave out at room temperature for at least two more hours. 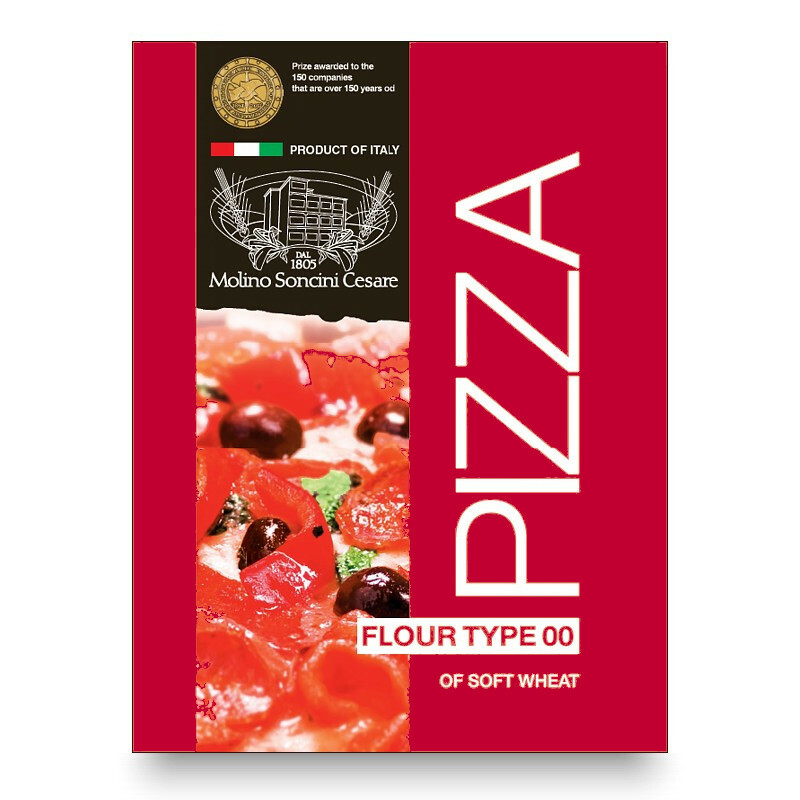 Place your dough onto your semola-floured surface, flatten with your hands and place in an oiled oven-paper lined baking tray and allow to rise for 4 hours. Once risen, cover with whatever toppings you have chosen (if any) and bake in a pre-heated oven at 220°C for 10 minutes, before lowering the temperature to 200°C and cooking for another 10.